1. What is the field like where you PLAY? 2. How much can you PAY? 3. What is your Airsoft POSITION? 4. Which one will you choose among the 4 types of airsoft gun POWER? Best airsoft machine guns and sub machine guns? Airsoft Gun Combos – What is the top pick? Airsoft Shotguns – What is the top pick? Answer these FOUR questions and come out ahead of the game. Many new players get so excited to get out into the field that they rush into buying a rifle or pistol, only to feel disappointment or regret later on. Before you even begin looking at the top rated airsoft guns you have some research to do. Answer these four questions and you will be miles ahead of most new players. These will organize your thoughts and allow you to be confident that you know what you want and are making a wise choice. This is a relatively simple question, but it affects the type of gun you will use. If you play in an indoor field, good airsoft guns will be compact rifles or compact guns to easily maneuver through tight spots. 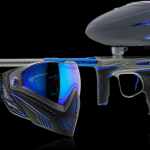 If you are playing primarily on an indoor field, you will not need more than a 350 FPS gun, as that is generally the FPS limit for indoor games. Most outdoor fields and events limit FPS to a range of 400 to 450, except in the case of snipers who can have a higher FPS is shooting from over 100 yards. If you are a sniper you may want a gun with higher that 450 FPS, but for other positions, it is not necessary. In outdoor fields or events, you have room for a larger gun, so you do not need to limit your choice based on size, if you don’t want to. 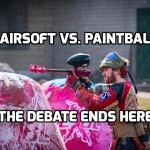 If outdoor fields and events are where you plan to play airsoft the most, you have other considerations aside from FPS and gun size when deciding which is the best airsoft gun. 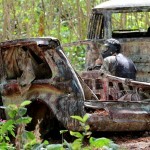 You may want to think about camouflage, or choosing a gun that matches the environment. You may want tactical equipment such as scopes and sights, to get better aim. Shots in outdoor play are usually more calculated and need to be more precise that the fast moving close quarter games. Consider your budget for an airsoft gun and make decisions based on that budget. There are two ways you can go about it. You can buy a decent starter gun, and upgrade it as you go, or you can spend more money and buy a so called “pre-upgraded” gun right off the shelf. If your funds are limited, the airsoft rifle that has good externals and is easy to upgrade is the best airsoft rifle. Easy to upgrade means the parts to make upgrades are easy to find and inexpensive, and the actual process of upgrading your chosen gun is easy. If you have the budget to buy a “pre-upgraded” gun, by all means do so, but you are missing out on the fun of researching and creating a custom gun. This is a critical question you must know the answer to before committing funds to purchase a gun. Different positions demand different guns. Not only do different positions need different guns, but each position has its own set of considerations. 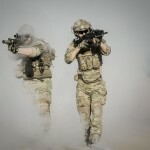 A rifleman is the most common position in airsoft and every team member should be able to play this position well, before considering other specialties. Every position played should be Position + rifleman. This position also sees a lot of action, making it fun and engaging. This is the position the vast majority of beginners will play. As expected, a rifleman will use a rifle. The best airsoft rifle can be a semi automatic electric rifle or AEG, or a bolt action rifle. 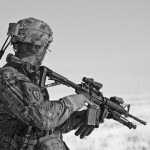 The most popular type of gun for this position is an AEG or Automatic Electric Rifle. 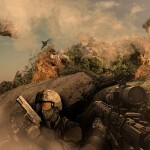 A designated marksman falls somewhere in between a rifleman and a sniper. 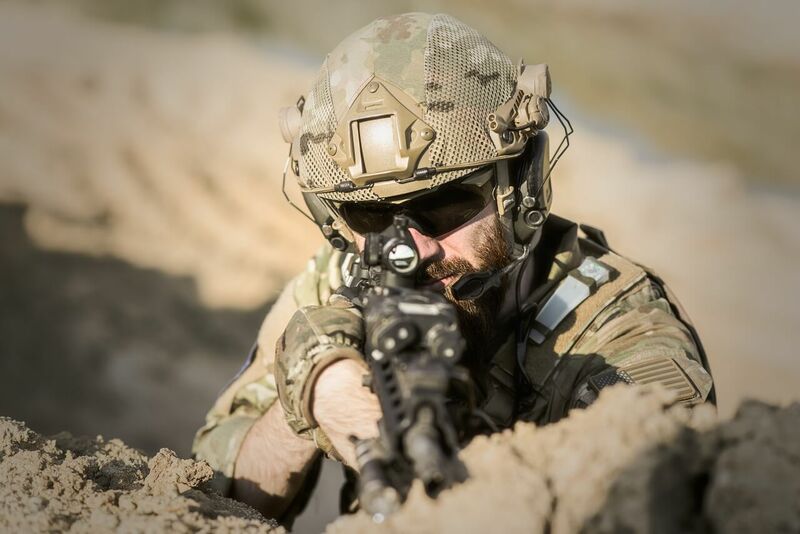 Their gun, sometimes called a DMP or Designated Marksman Rifle, may have a longer range and better scope than a standard rifle, but their rifle will be lighter than a sniper. This is ideal because the designated marksman moves more than a sniper and a lighter rifle is conducive to this. They do not hunker down and remain under cover like a sniper so they won’t need a bi-pod or other stabilizing accessories. They will also be shooting more than a sniper so a larger magazine is needed to hole more BBs. This role is not a beginner role. It is earned through practice in the field, and investment in the gun via upgrades that add range and accuracy. This position calls for a sniper rifle. Normally, sniper rifles are not sold, per se, they are built. Many snipers start with a solid foundation, a good bolt action rifle that is easy to upgrade, and they make their upgrades from there. If you aspire to the sniper position, start with a solid bolt action rifle and make sure the barrel and all internals are upgradeable, that the gun has a decent FPS and there are rails or mounts for a scope and other useful accessories. The scout needs to do his or her best to make like a unicorn and never be seen. 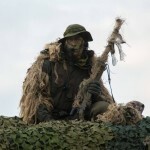 They must remain invisible and unseen in order to gather reconnaissance, or info about the other team. Lugging a humongous heavy machine gun around, or packing a rifle as long as a light pole, will not exactly add to your stealth. The scout is ideally a small person, who is agile and can move quickly. Their weapon will be a small stealthy gun, like a compact sub-machine gun and a pistol. 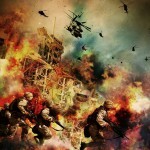 The combat medic plays an important role. As the name implies, they are a medic, working to heal people, but they are also in combat, meaning they should see plenty of battlefield action. The ideal gun for a medic is a rifle like an M4 modified with a shorter barrel. 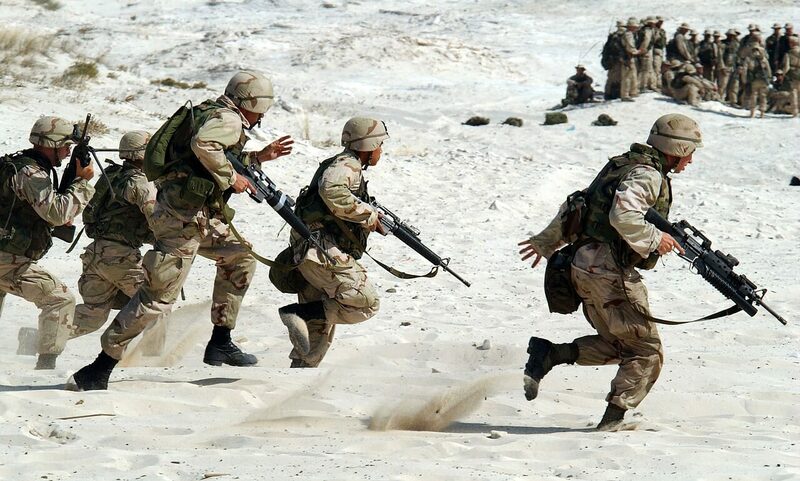 The medic needs to stay light on their feet, as they are frequently running and moving around. A smaller rifle with a backup pistol is ideal. 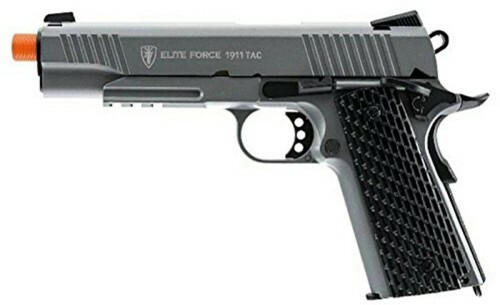 The best electric airsoft pistol or gas pistol would be a good option for the medic. 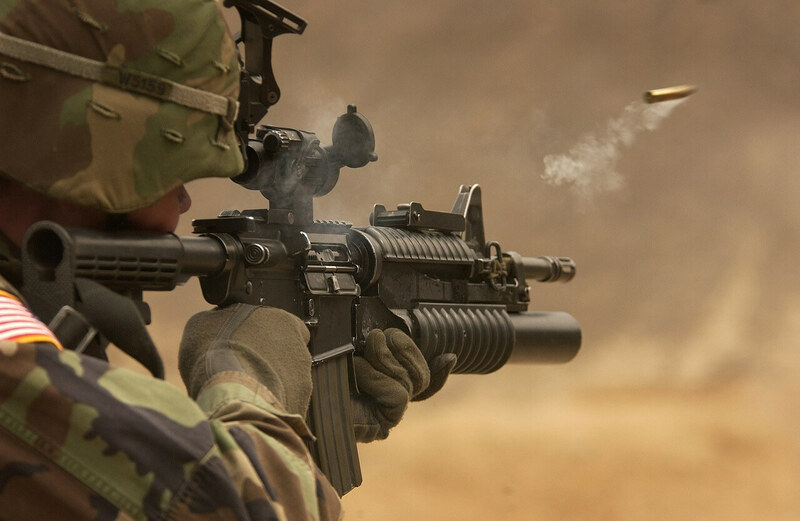 Something M4 with a shortened barrel would suit your need perfectly. You need something light and small enough to where you can sprint across fields easily. While still being long enough to still be a rifleman. Grenadiers use a wide array of explosive including smoke grenades, flashbangs, fragmentation grenades or standalone grenade launchers. The grenadier may also use a rifle, in addition to their chosen explosive device(s). A SAW gun is a Squad Automatic Weapon, a fully automatic M249 airsoft gun that uses a drum magazine to supply ammo. The job of a SAW gunner is to help rifleman advance towards the opposing team. The SAW gunner sprays the area with BBs forcing the opposing team to take cover and stay down. This allows the riflemen to move without a heavy deluge of return fire. The SAW can be expensive, so it is not generally a beginner gun. Other Support gunner weapons include light machine guns, which are capable of blasting the enemy with a barrage of BB’s. These types of support guns are also heavy, since they hold magazines, or large amounts of BBs and they are designed to look intimidating. The support gunner should have the strength needed to pack and fire these large guns. The majority of beginner airsoft guns are AEG, as most rifleman airsoft guns are AEG. AEG guns are battery powered guns that use a motor and gearbox to fire BBs. They can have one shot, semi automatic and full automatic firing modes. These guns have a wide FPS range that can be anywhere from 150 to 650, but most fall between 250 and 450 for the most common beginner mid-level guns. Traditionally these guns are powered by NiCad 8.4v batteries, but recently “li-po” (Lithium polymer) batteries are becoming popular because they last longer and do not have the charging problems of NiCad batteries. 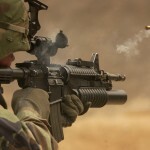 Common AEGs airsoft guns are replica guns of the M16, M4, AK47s, Kalashnikov and MP5s. Spring powered rifles use the energy stored in a compressed spring to pressurize air in a pump, which then propels a BB forward. They use no gas or battery, making them economical and easy to use and maintain. They work in virtually any weather condition and don’t run out of power until you do. Their limitation is they only shoot one BB at a time. They must be manually cocked for each shot. The low end spring rifle can not compete in a close quarter battle with a semi automatic electric gun that can shoot many BBs rapidly. The higher end spring powered rifles are used by snipers and are usually not the gun of choice for beginners. Spring powered guns are some of the most accurate airsoft guns available. High end spring powered rifles are a popular option for sniper rifles, because snipers usually only need to shoot one BB at a time. They are more powerful, usually, than electric guns, but less powerful than gas powered bolt action sniper rifles. So, high end spring powered guns have the potential to have a high FPS relative to electric guns. Spring guns have a consistent shot, because they do not rely on a battery or gas power, which can change shot to shot. They rely on the spring, which remains the same between shots, a spring does to vary in power from shot to shot. The consistency spring powered guns provide is another reason they are popular with snipers. Low end spring guns are readily available and pretty inexpensive compared to AEGs, making the low end variety a common starter or training gun. 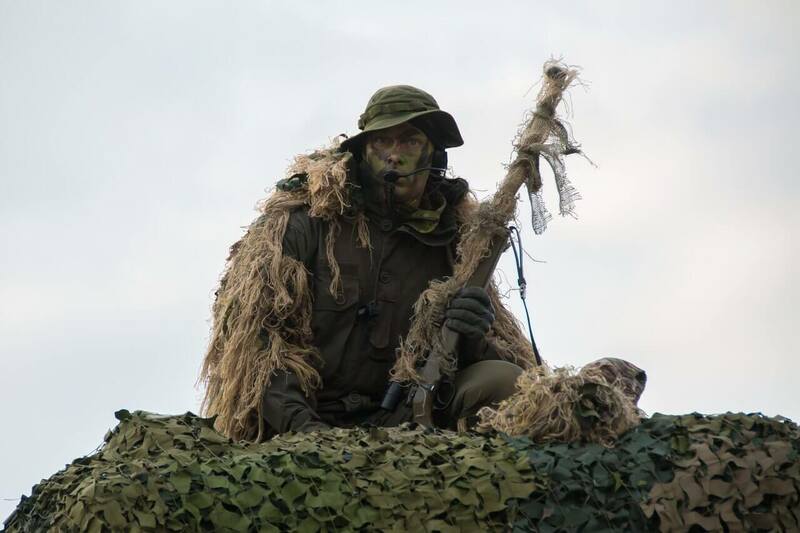 Snipers use higher end guns with modifications and upgrades. The two most common types of gas powered guns are the gas pistol, and the gas powered bolt action rifle. Gas is used in pistols because the size of the mechanism used in electric guns is too big. Gas mechanisms are more compact and suited for the pistol’s smaller size. Gas also has the ability to generate ‘blowback’, or not, depending on the style you choose. On a gas gun that has blowback; the gas is expelled, which propels the BB down the barrel. The slide moves back at the same time, providing recoil, which you can feel. This gives the gun a realistic feel, as it shoots similar to a real pistol. This blowback also loads the next bb. Blowback provides realism, but the guns that have blowback are more expensive, have more moving parts that can break and will require more maintenance. They also use significantly more gas than a non blowback gun. These guns are in the domain of experienced snipers. They are more expensive that spring powered bolt action sniper rifles and are more powerful. They shoot one BB at a time, have high FPS and range, and ate accurate. They are not beginner guns. Common examples of the gas powered bolt action sniper rifle are the KJW M 700 and the ASG Licensed McMillan M40A5 gas powered sniper rifle. HPA means High pressure air. These guns use an external cylinder (like a paintball gun). 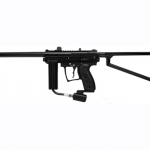 The HPA setup is not popular for airsoft guns and the HPA style airsoft guns are not considered beginner guns. 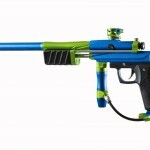 This is in stark contrast to paintball guns, because many paintball guns use external canisters. 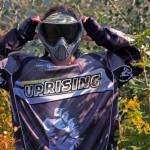 Polarstar, Wolverine, Valken and Tippman make an HPA system for airsoft guns, and two of those brands are also popular paintball gun makers, not coincidentally. Tune in to Tokyo Marui for high quality internals and an excellent out of the box Hop-up. Tokyo Marui was among the first to make an AEG gun. The Tokyo Marui guns are very high quality, especially on the inside, but tend to have low FPS. They perform well, but can be pricy. They are famous for having an excellent stock Hop-up, something few other gun manufacturers can say. Products they are known for: The VSR-10, Sig 522 and their pistols. JG makes guns with excellent externals, perfect for upgrade junkies. This is a popular and well regarded maker of clone guns. They have good externals, and easily upgraded internals. They build Echo 1’s AEG’s. This is an excellent beginner gun brand and one of the best airsoft brands we know of. 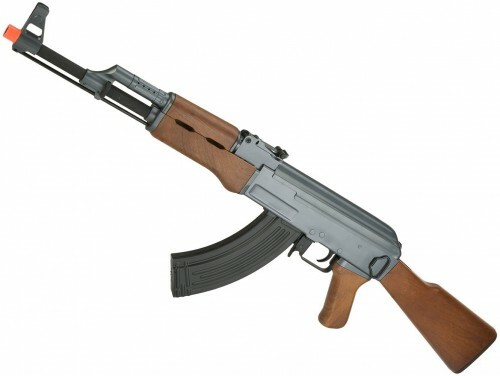 CYMA is the ‘go to’ maker of low price, good quality AK-47 clone rifles. CYMA makes clone guns and is well known for their AK47 Electric airsoft line clone guns. They make some cheaper low end spring powered guns but they are not recommended. They are however the first manufacturer you should look at for budget priced AK 47 clones. For a great gun, out of the box, look at G&G airsoft Rifles and Pistols. G and G makes solid budget priced rifles that perform well out of the box and are easy to upgrade. The have well built gear boxes, and their better rifles come with all metal construction and tight bore barrels stock. They have a great gun, right out of the box. You can not go wrong with G and G.
Products they are known for: CM16, M4 AEG Rifle, xtreme co2 pistols. ICS makes guns that are easy to upgrade ad have high quality internals to start with. The ISC company has one thing that makes it stand out, a split gear box. This allows the technically savvy airsoft player to easily take apart the gun and only partially disassemble the gear box to work on the gun or make upgrades. The pro line has the same internal parts as the standard line, with the exception of a weaker motor. One of the best airsoft gun brands we know of. Makers of some of the best electric airsoft guns. WE Tech makes a solid gas rifle and gas blowback pistol, along with the most realistic airsoft pistols out there. They have an all metal M4 AEG that performs well stock, without any upgrades needed. They make a large variety of GBB (Gas Blowback) Pistols too. Products they are known for: A gang of Gas GBB Pistols, M4 AEG Rifle. G and P makes good all metal AR rifles that are high quality, but on the pricey side. Their guns perform well, out of the box, no upgrades needed, but you pay for that. They also make good scopes and high capacity magazines. 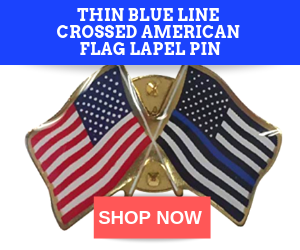 Products they are known for: M4 CQB-R, GP 523 Red dot scopes and Elite Force M4 magazines. KJW does! KJW makes several models of Gas Blowback pistols and rifles and should be the first place you look if you want a Gas Blowback Pistol or rifle. Many of their rifles shoot 400 FPS out of the box and some are also Li-po battery ready, something not many rifle manufacturers can say. KJW makes the best co2 airsoft pistols around. Products they are known for: M4, M16, G36, GBB Pistols, KJW Model 619 Gas Blowback Pistol, KC-02 Gas Blowback Rifle and the famous KJW M700. Echo 1 makes mid level rifles that have good FPS, are sturdy and make excellent beginner guns. Many of their guns are made by the JG Company. Echo 1 has some of the prettiest packaging and some of the top airsoft guns on the market. Products they are known for: M28, M14, XCR-C, TROY Series M7A1, MAX Torque Motors, and airsoft BBs. 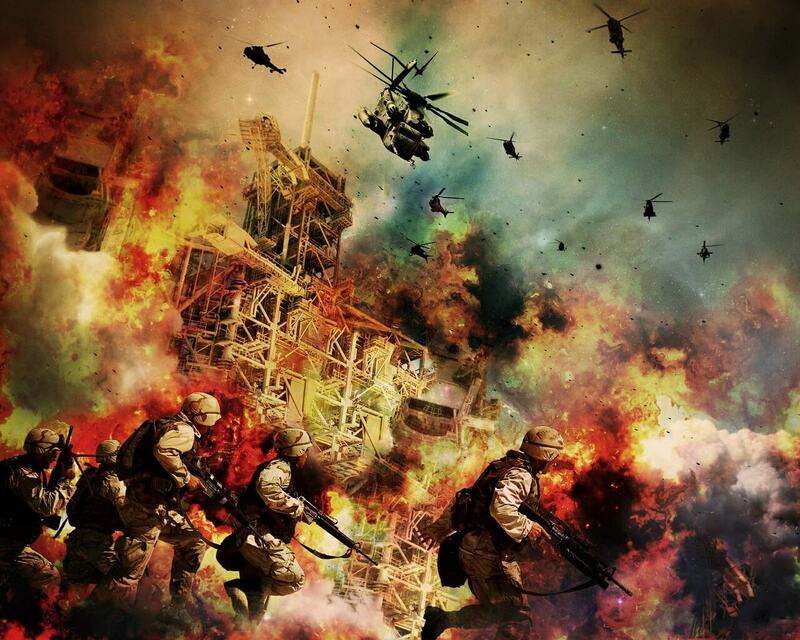 Classic army is….a classic. What can we say? They make an excellent, although expensive AEG rifle. Their externals are excellent, and the internals are pretty good. Many of their rifles are all metal and the craftsmanship is top notch. These guns are realistic in feel, weigh and balance and attention to detail. Classic army shines when it comes to externals, and can be made perfect with internal upgrades. 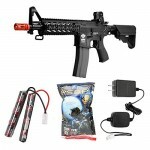 They have some of the best electric airsoft guns on the market. Products they are known for: X Series, M4 Delta, M416, MP5, AK Rifle, G36, M120’s, AUG, Short Type High torque motor, A552M 9mm Metal Gearbox, SLR 105. The Budget priced, Close Quarter battle and Gear masters. 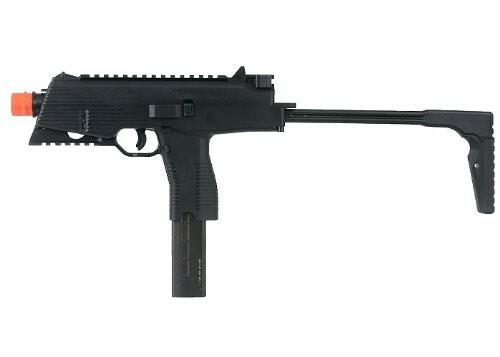 UTG makes several close quarter airsoft guns and pistols including a selection of CQB shotguns. They also make CQB accessories like scopes, sights and other gear. Products they are known for: 1911 Spring Pistol, Shadow Ops Sniper Rifle, Everblast CQB Special Ops Shotgun, ITA Close Quarters red dot Scope, Speedloaders, holsters. This company makes airsoft co2 gas blowback pistols that are quite popular probably due to the accessible price and availability. The company is new and hard to find much info on. They are based out of Arkansas. As long as you use .2 gram BBs and avoid the guns marked ‘china’ in favor of the guns marked ‘Taiwan’, you can find yourself a deal of a gun. Also be aware, some marketing material marks the FPS in terms of .12 gram BBs, so using a .2 gram BB will be slower, naturally. Never use .12 gram BBs, they will fall apart and can ruin your gun. Products they are known for: Viper Rifles, co2 airsoft pistols. This Gas Blowback pistol from KJW is from a top manufacturer of gas blowback pistols. An airsoft pistol like this is a great training tool because it has a realistic recoil and shoots similar to a real pistol. 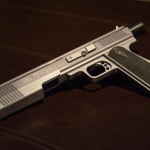 This pistol is a replica of the 1911 pistol. One of the best co2 airsoft pistol. 330 to 350 FPS, 28 round magazine. Accepts .2,.25 and .28 BBs. Can also use co2 or propane if you can find the right mag. Excellent gas blowback pistol, great for a medic, or as backup in case your rifle fails. One of the best airsoft pistols by KJW. This gas blowback pistol has a realistic look and feel with blowback that is neither weak nor too overpowering. This gun is also very efficient in CO2 usage, despite being a blowback gun, so that is a plus. The gun is accurate, and has a hop-up, to give it more range. It has an out of the box FPS of around 345 and is easy to clean and maintain. Under rail included so you can ad attachments. Uses 12 gram CO2 cartridges. Mag only holds 14 rounds. Some report problems with leaky CO2 cartridges. 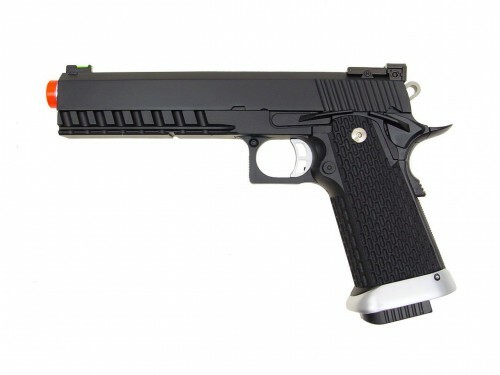 This 1911 replica pistol is fast and fun, a great backup pistol for your airsoft game. Great airsoft pistol by Umarex. This Jing Gong AEG rifle is a compact electric rifle great for close quarter combat. It has an ABS plastic body and stock. The stock is foldable. It shoots 350 FPS, includes a full metal top rail and an amazing 470 round magazine capacity. It has a range of 170 to 190 and a full metal gearbox. This rifle has a high rate of fire and the ability to switch to semi automatic mode. One of the best aeg airsoft guns by JG. Flashlight and red dot scope included. The hop-up is not accurate. This gun is powerful but light, long range firing capability while still good for Close Quarters Combat and in the Field. This auto electric gun has semi and full automatic firing mode. This is one of the most popular airsoft rifles on the market. It comes with a battery and charger, 600 round magazine and a sling. This model has a faux wood stock and body. The barrel, receiver sights and gear box are metal. The gun is well built and sturdy. 340 to 390 FPS, selector switch. Adjustable hop-up, front and back sight. The included charger is not a smart charger. This is a great airsoft rifle AK 47 replica for the price, you get more gun than you pay for. The best AK 47 replica aeg airsoft guns around. 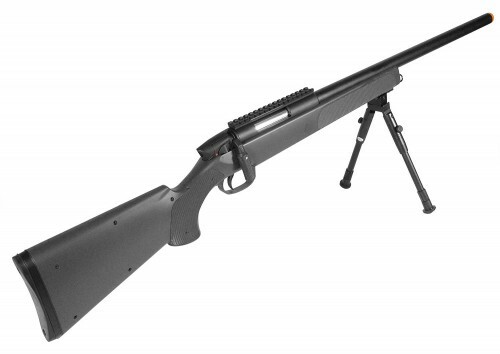 This bolt action sniper rifle comes stock with a threaded barrel adaptor, three magazines, and adjustable stock. The bolt is ambidextrous and is easy to pull because it is positioned out of the way of the scope. Holds 22 rounds per magazine. Does not include a scope. For the price, this is a great sniper rifle right out of the box. This spring powered bolt action sniper rifle has a 460 FPS speed and is styled after the M700, with a range of 200 to 250 feet. 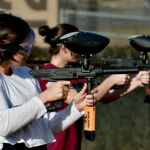 Gun is a good choice for those starting out because of its light weight and affordable price. Hop up is problematic at times and can cause inaccuracy. A good solid starter bolt action airsoft rifle. This gas blowback submachine gun is a compact beast. It has a 350 to 400 FPS, powered by green gas and holds 48 rounds in the included mag. This gun is LOUD and well balanced, due to the magazine being in the grip. Folding stock, side and top picatinny rails. Uses 5.88 KSC BBs, preferably. Regular 6mm BBs can be used with care. 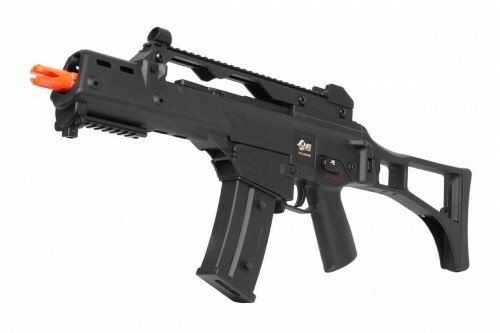 Your search for an awesome SMG is over with this KWA Gas Sub Machine gun. One of the our favorite airsoft guns you can get. This affordable AEG comes as a combo set with a 9.6 volt nun chuck battery and a SMART charger. This clone gun is completely compatible with Marui parts and has an adjustable and retractable crane stock. Respectable 360 to 370 FPS, lots of rails and an excellent battery and smart charger make this an ideal starter rifle. It may not be the most powerful airsoft gun, but it is powerful enough to hold it’s own on the field. The gun has a high torque long type motor, metal barrel and gearbox, and front and rear sights. Can not remove front sight. This is an excellent starter rifle with superb upgrade potential. This military style pump action shotgun has a spare mag, top rail, telescoping stock and can shoot three BBs at a time. This model is compatible with Tokyo Mauri parts and uses replica Shotgun shells in place of a magazine, for realistic loading. Among the best airsoft shotguns. 3 round burst, multi firing action. Get into the game and have a BLAST with this realistic and fun and affordable shotgun. This wraps up our best airsoft gun reviews. Now get out there and play!